Vagrant a software tool used to create and configure virtual development environments. It works as wrapper over other virtualization software like VirtualBox or VMware. Vagrant itself is a command-line utility. Vagrant boxes are configured using special Vagrantfile config written in Ruby but may include additional configuration scripts written in bash, Chef or Puppet. Developers in a team can download the Vagrant configuration files from a common source and re-create the same development environment locally. In your host machine (Windows/Linux/OSX), create an empty dir my_project . Maybe you want to assign another IP address. If your host is Windows, maybe you want to ssh from putty . You can do so by ssh-ing to hostname 127.0.0.1 and port 2222 . Username is vagrant and password is vagrant . To use Vagrant on Windows platform you need to install virtualization software and an ssh command-line tool first. This example will use freeware VirtualBox and Cygwin. 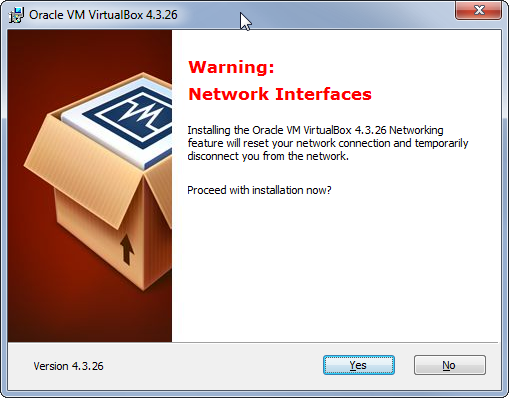 Download the latest VirtualBox version from the official download page and run the downloaded file. Note that during installation you will temporarily lose the network connection. You should also let Oracle install additional drivers. Get it from cygwin.com and run the setup until you get the "Select packages" page. You also need to add C:\cygwin64\bin folder to the Windows PATH environment variable. So that you may call ssh command from anywhere. Download Vagrant from vagrantup.com and just follow the setup guide to install it. You have to restart your computer after this. This will create and launch the VirtualBox running Ubuntu 12.04 LTS 64-bit To launch 32-bit version use vagrant init hashicorp/precise32 . If you need another box you can find more at the website from hashicorp. Also the vagrant init command will create a Vagrantfile configuration file in the current folder. Now you can simply send it to someone else and when that person calls vagrant up the same exact virtual machine will be created on his/her PC. If everything went well you will end up inside the virtual machine logged in as the vagrant user. More boxes along with the instructions how to install them can be found on the vagrantbox.es page. In this example a custom LAMP project development environment is created with Vagrant. First of all you will need to install Virtual Box and Vagrant. config.vm.synced_folder "./", "/vagrant", type: "nfs"
Of course, you can replace vagrantServer.com with any name. # .ssh/authorized_keys (you will need to create a `.ssh` directory inside the `vagrant` one and add a file named `authorized_keys` with the public keys of the users who have access to the repository and may use this environment). # You also will have to grant access to those public keys from the Github account, Bitbucket, or whatever you're using. GRANT ALL ON vagrantDB TO 'developer'@'%';"
# Uncomment to set default database fixtures based on `/vagrant/config/vagrantDBFixtures.sql` file. ssh-keygen -f /root/.ssh/id_rsa -t rsa -N ""
# Sleep until we can successfully SSH into Bitbucket. # Retries a command a configurable number of times with backoff. # Successive backoffs double the timeout. and add it to your Bitbucket account (Profile -> SHH keys) to continue. " Once checked and saved the file above, go to your terminal again, change the current directory to the vagrant one you've created before and type vagrant up . The VM will be created, and the boostrap file executed from the VM, so all the needed stuff will be copied/installed. Once finished, you can open your browser an go to vagrantServer.com (or whatever name you gave it) and you should see the content served from the vagrant VM. You also will be able to edit your project files through the vagrant/yourProjectName directory and all the files inside vagrant directory will be shared and synced between your host and the vagrant VM. All the target folders are excluded from syncing. Syncing only happens on vagrant up and on vagrant reload . This result of this command should take a while - it's uploading the big image file to S3, but the command itself returns more quickly. You can check on the progress of the import using the ec2-describe-conversion-tasks command. Once that finishes, you'll see an instance of your box running in the AWS console. However, you might not be able to access it because it doesn't have a Public IP address and/or doesn't have a .pem file associated with it. So, the next step is to create an AMI from the instance. To create an AMI, stop the instance (don't terminate!) and right click the instance and go to Image ->Create Image . This should take a while as well. You can check up on the progress in the AMIs view of the console. Once it finishes, launch an instance using the AMI attaching a .pem key file to it and then you can ssh in and you're good to go.